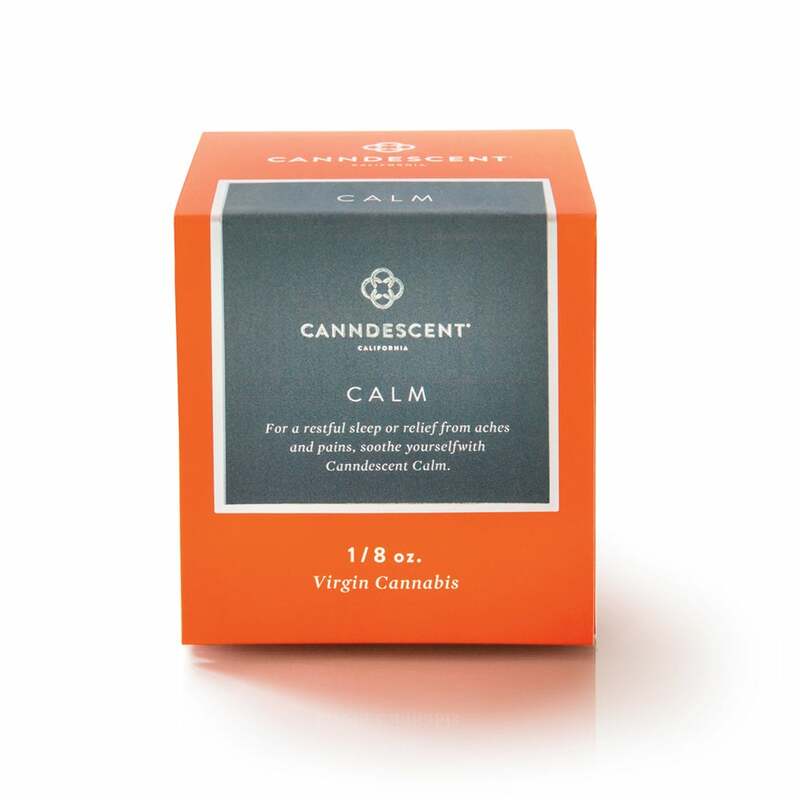 In 2017, when Adrian Sedlin launched a line of cannabis flowers called Canndescent, he thought a lot about how most consumers had previously purchased cannabis. It likely came in clear plastic baggies, with its origins and potency unknown — hardly what someone would pay a premium for. He wanted to make a clear and unambiguous break with that past, and court a consumer who’s willing to pay for quality. His solution: Create packaging that evokes luxury brands. Here’s how his team designed Canndescent in the least-baggie way possible. 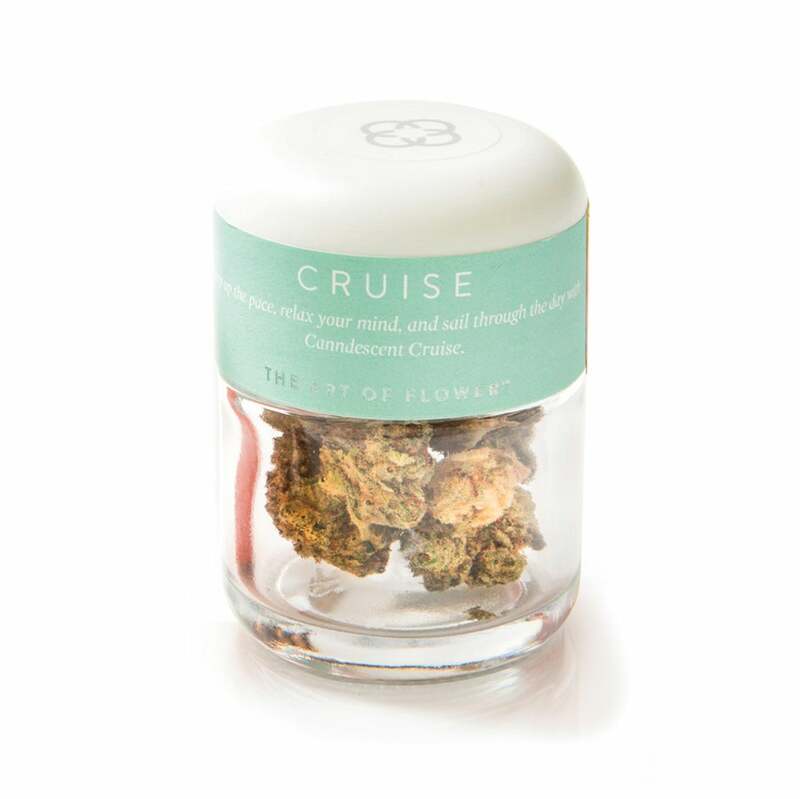 Canndescent’s flowers are named for their intended effect — Calm, Cruise, Create, Connect, and Charge. But each name is also followed by a three-digit number: “Calm no. 102,” for example, or “Create no. 301.” What does it mean? The numbers are supposed to “evoke the class of a BMW,” said Sedlin. Just like BMW has a 1, a 5, and a 7 series, Canndescent identifies its strains and effects by numbers (100s are calm, 300s are creative, etc.). Related: Is Canndescent Paving the Way For the Future of the Cannabis Industry? 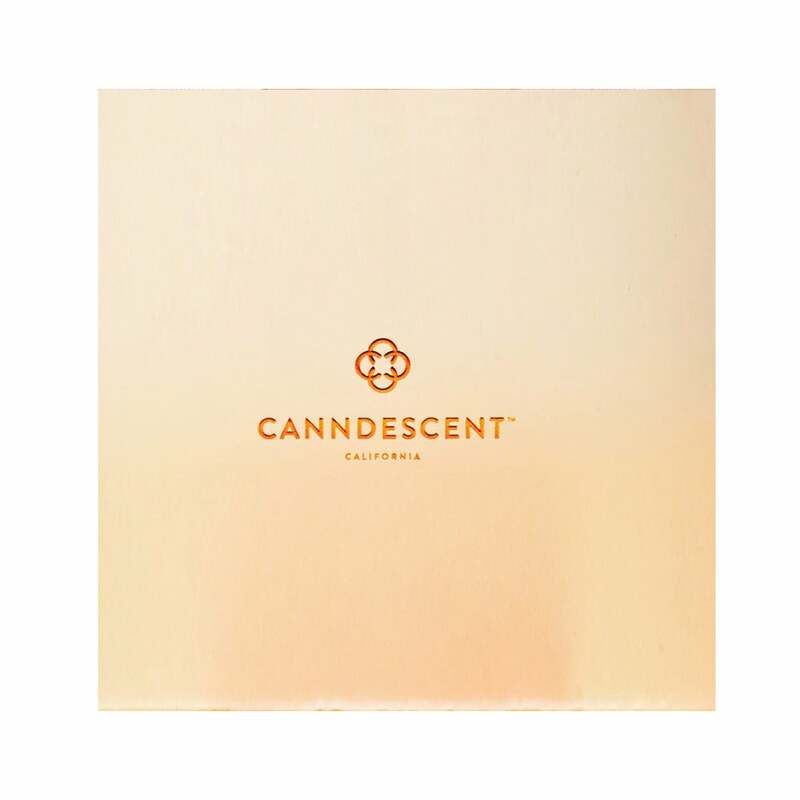 Canndescent’s products arrive in a burnt-orange box, a nod to the French luxury brand Hermès as well as the “soft, warm glow” of a light bulb filament. 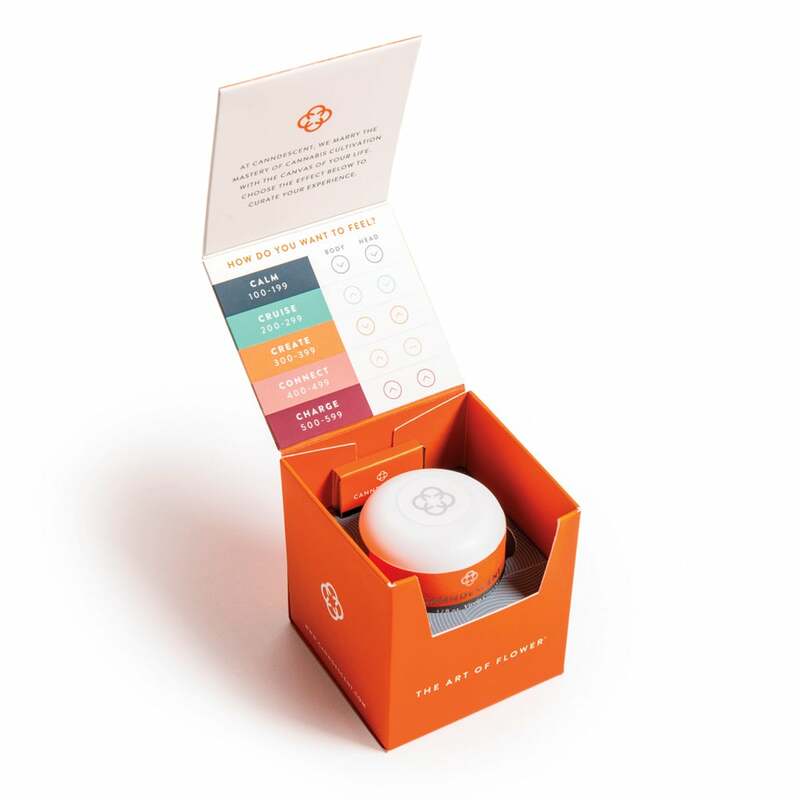 The company went through hundreds of orange samples to find one that would pop on shelves without reminding customers of Home Depot. Premium food, beverage, healthcare, and personal-care products tend to come in glass — a signifier that what’s inside is worth handling with care. Sedlin wanted his branding to appear at the top of the jar, so as to not obscure the flower inside. That way, it showed that Canndescent isn’t hiding anything about its product. “We wanted to establish trust with our consumers,” he said.